TRYING TIMES Podcast Episode 13: The Monster Truck Rally | Birth.Movies.Death. Hello, everyone. It's been a while! Last time we checked in with you folks, we were interviewing David Farrier, the host of Netflix's outstanding docu series, Dark Tourist. Those were good times! But they were also followed by a period wherein my podcast co-host and I struggled - and failed! - to get another episode of Trying Times on the books. The reasons why are legion: we took on a camping challenge that immediately went off the rails; we recorded an entire episode that got lost thanks to a most unfortunate audio mishap; we went out to eat at the worst restaurant in Austin, TX, and found that it was ... mostly uneventful? Such is the nature of Trying Times. Our bad ideas work out just as often as they don't, and we have no choice but to roll with the punches. In January, though, we managed to do something that neither Shultz nor I had ever done before, and we managed to get the resulting conversation recorded without anything going horribly awry. We also brought back one of our favorite guests, Rob Sheridan, to discuss our misadventures, along with a recap of the recent Matthew McConaughey epic, Serenity. 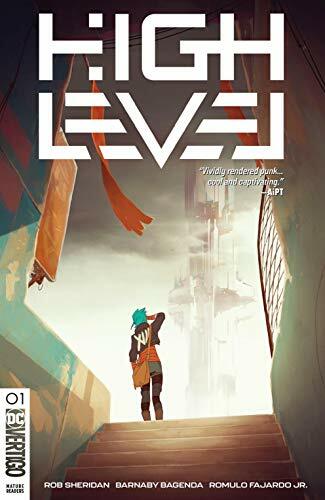 Oh, and we also spend some time talking to Rob about his new Vertigo Comics series, High Level. We are well aware that the infrequency of this show isn't exactly doing us any favors in the "building an audience" department, but we still have a goddamn blast putting it together for you. And so, for those of you who still have an hour to kill every few months, we are pleased to deliver the 13th episode of Trying Times. 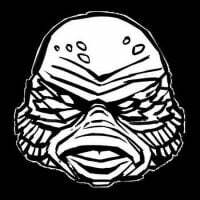 As always, we are on the lookout for future Trying Times challenge ideas, and we've also set up a tip jar of sorts for any of you who wish to contribute to the funding of our extremely ill-advised hijinks (we literally have no budget on these things, so every single dollar is a goddamn blessing). You can follow me on Twitter here, Shultz on Twitter here, and Rob on Twitter here. If you're interested in pre-ordering a copy of High Level (and you should, because it's a helluva lot of fun), you can do so at this link, and if you've got anything to add about our latest round of shenanigans you are free to do so in the comments section provided below. Until next time, friends: be safe out there.